20 Easy Christmas Decorating Ideas | Pop Talk | SwatchPop! 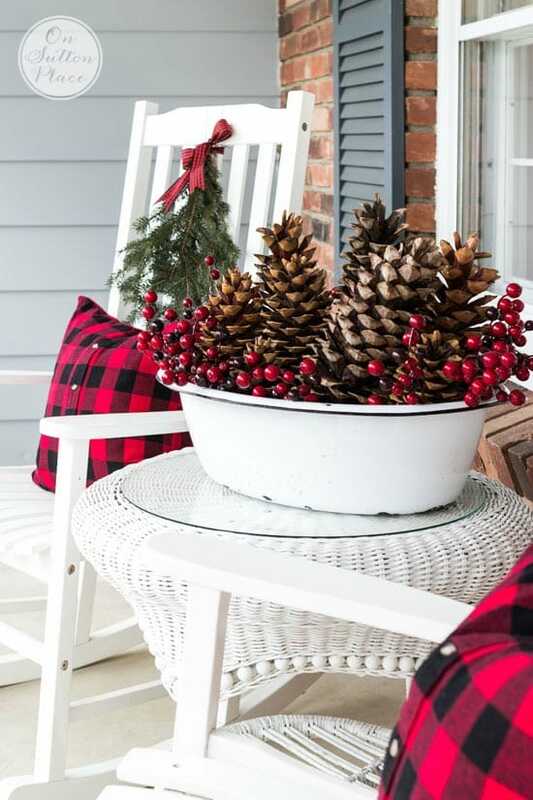 Get your home holiday ready with these easy decorating ideas. 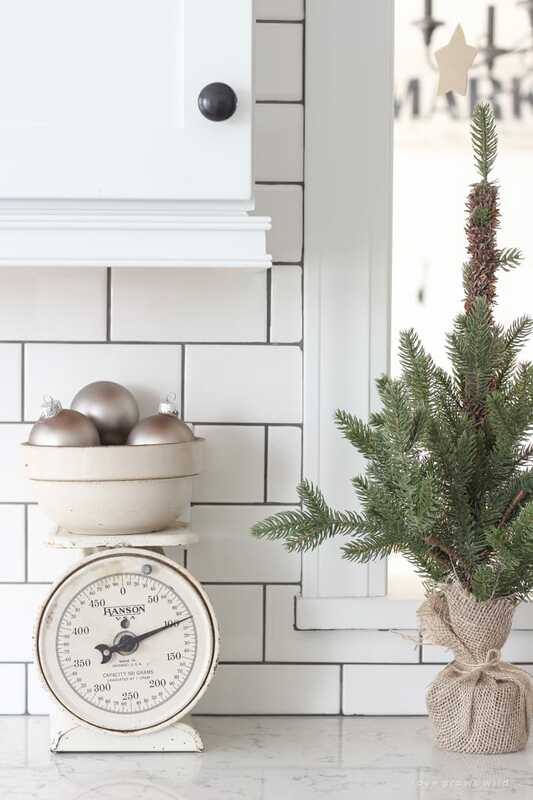 We gathered 20 of our favorite Christmas decorating tips that are simple yet beautiful. Choose your favorites ideas below to fill in those empty spots in your home to create a festive look! 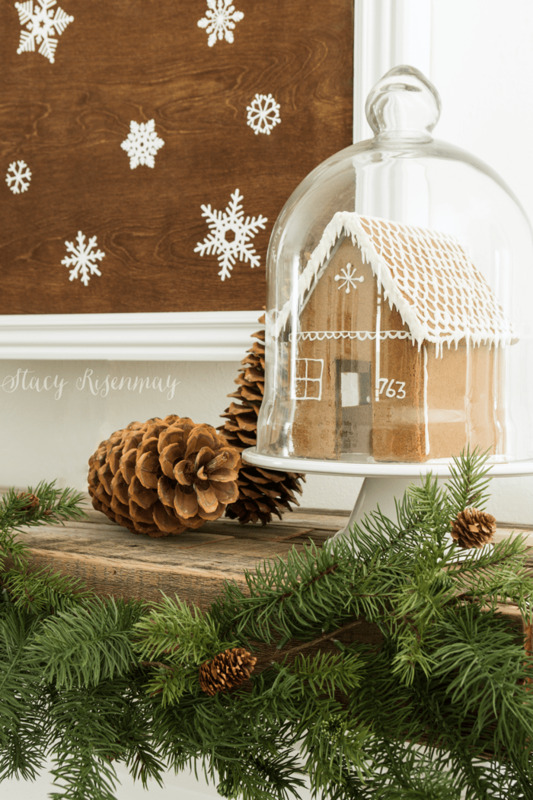 Gingerbread houses are a holiday staple and they can to be displayed in a beautiful way. Cake stands are an easy way to achieve this look and the best part is that you probably already have a cake stand at home. This cake stand would look great! 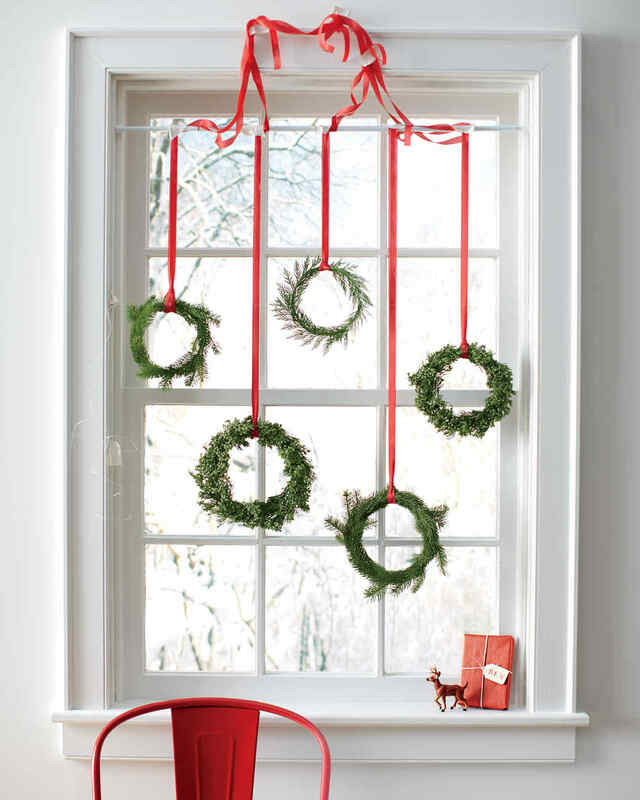 Hanging miniature wreaths in the window creates a festive look on the inside and the outside. Colorful and patterned ribbons add a big statement and would also look great with white, gold or silver ribbon for a neutral look. 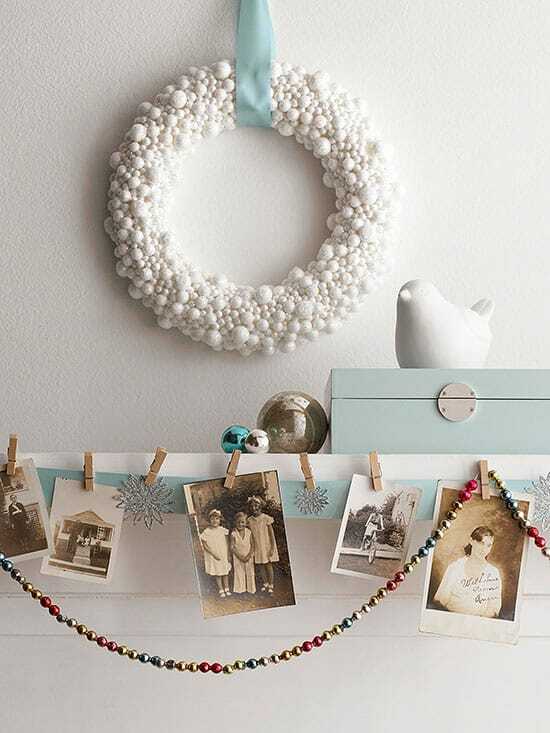 We are loving these mini wreaths! Have extra ornaments leftover after decorating the tree? Find unique places around your home to display them. 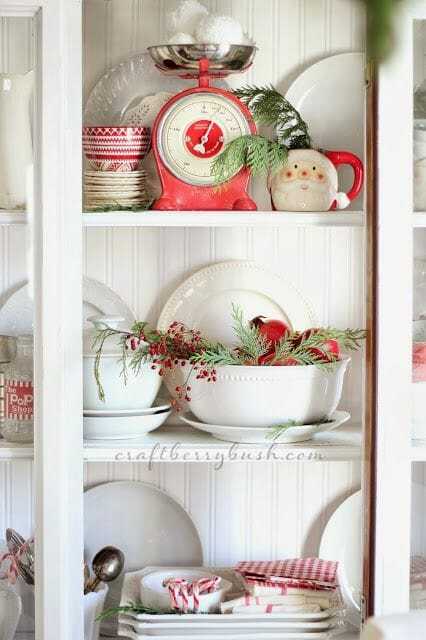 Use bowls, trays, baskets and kitchen scales like these to hold ornaments. Maybe you have already decorated your stairs or mantel, but sometimes these spots just need a little something extra like a banner. A banner would also look great across a window or draped across wall art. Here is one of our favorites! Don't stop decorating the dining table at the centerpiece, move on to the chairs. This is a great option especially if you take off the centerpieces to make room for food during meals because the chairs will be festive without being in the way of eating. 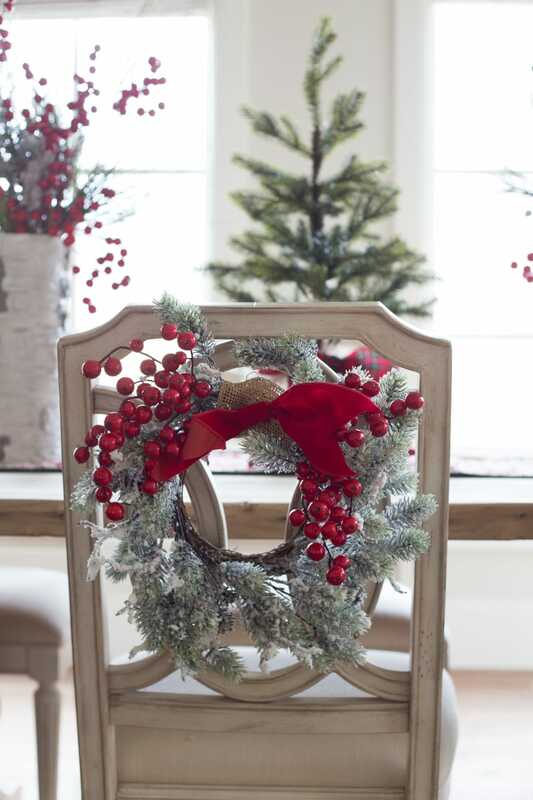 We are loving this small wreath for chairs! Wall hooks are a great place for displaying decor, especially since most hooks are located in the entryway. For a festive first impression, hang stockings or bells. 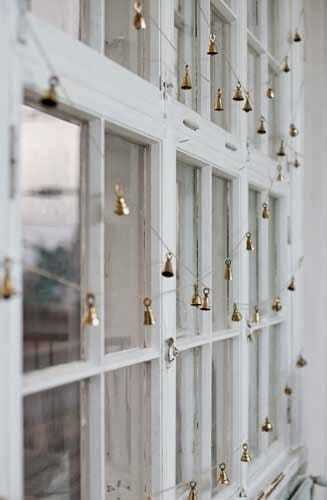 These bells would be perfect on display! 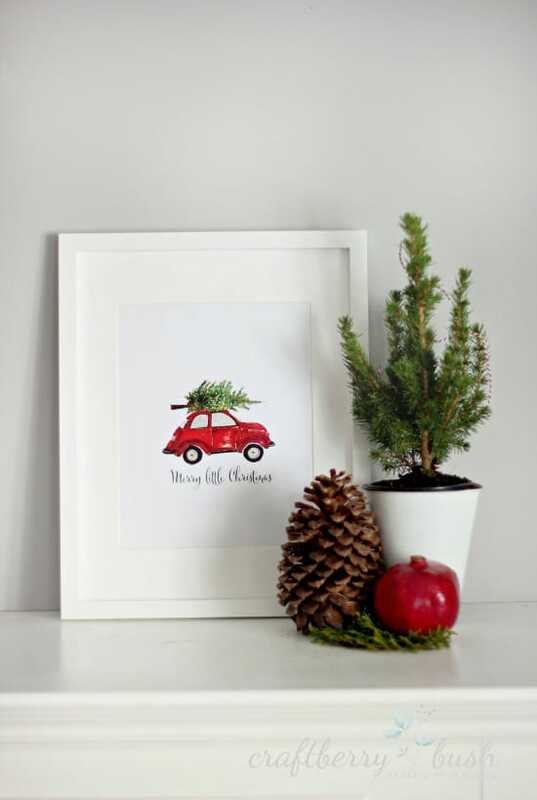 Switch out your family photographs or framed artwork for a holiday inspired print. This is an easy idea because you already have the picture frames. We love this holiday inspired artwork! 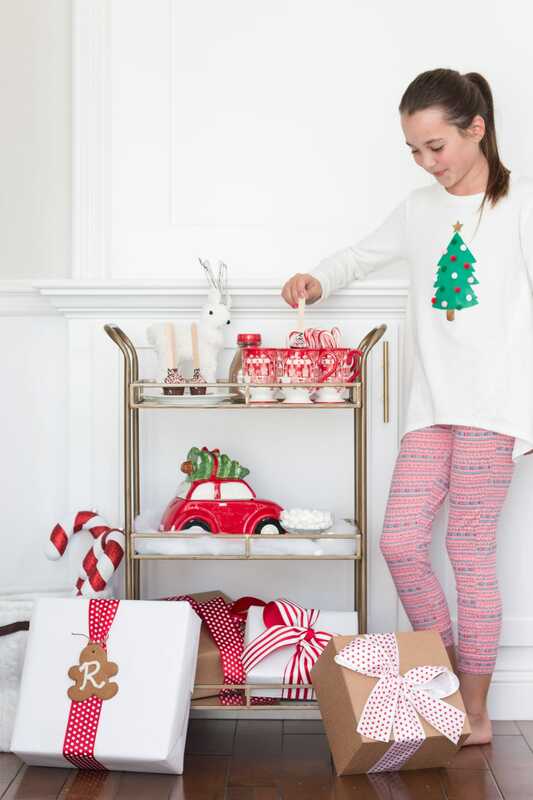 Hot chocolate stations are a fun and easy way to get everyone in the holiday spirit. Chances are you probably have all the ingredients for the station, so you just need a place to display them. Use a bar cart, end table, tiered cake stand or a decorative tray. This bar cart is one of our favorites for all seasons! 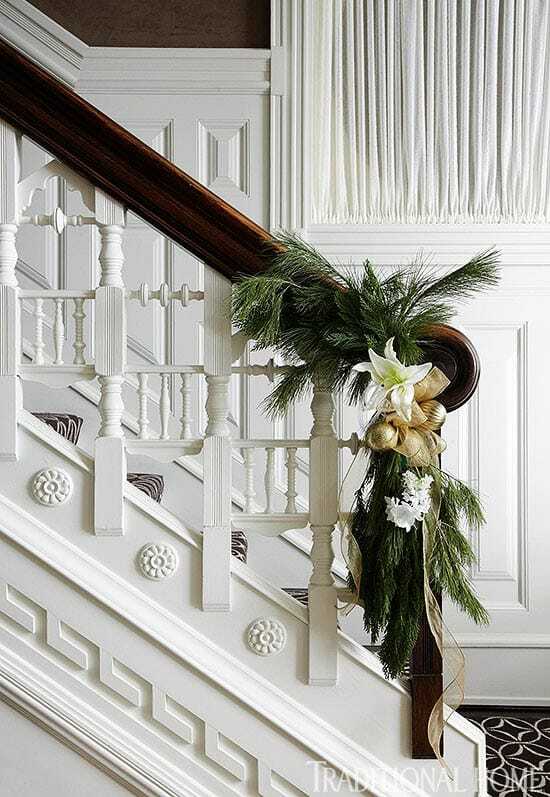 Decorating the entire staircase is a common decorating trick so switch it up this year and just decorate the end. 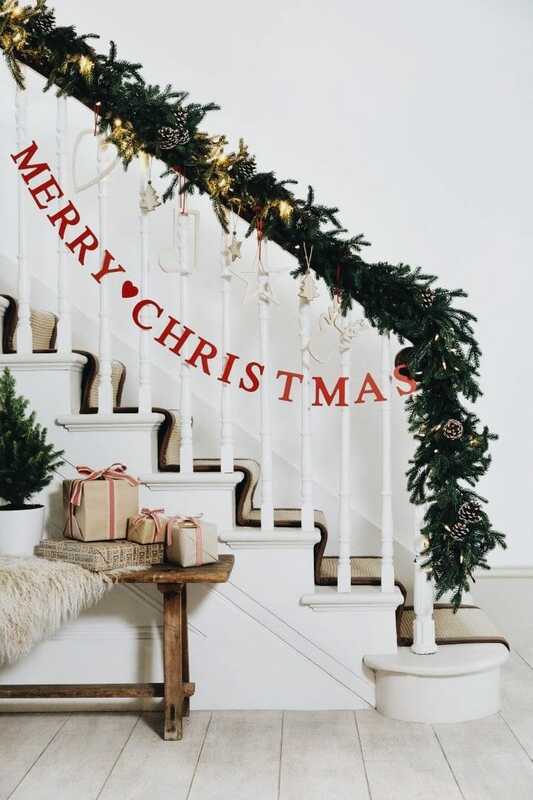 Fancy it up with ornaments and ribbons in your home's Christmas color scheme. Try using this swag for an easy solution! Ornaments aren't just for the tree. Display them in many places, for example: mount a tension rod in a window frame and show off your favorite collection of ornaments. Here is an example of a collection of ornaments that would look beautiful displayed like this. Everyone likes to drape banners and garlands everywhere, but don't forget about beads! 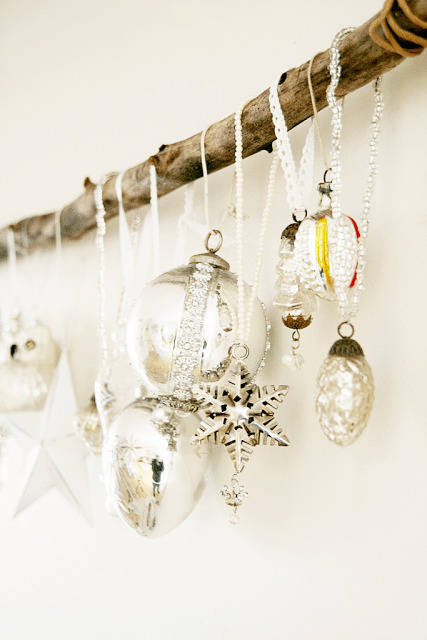 Bead garlands add a contrasting size and texture when layered over other holiday decor. These gold beads would look great with almost everything! Whether you have a big hutch, open shelving, glass cabinets or even just a decorative tray on the counter, add in a few festive dishes for a classic Christmas look. We are loving these patterned mugs! This is probably the easiest look to recreate for a simple holiday look. Pick branches from your yard and place in a glass vase, jar or cup with water. Place on a nightstand or lined up on the dining table as a centerpiece. Here is a faux option if you prefer that. This is a fun look and actually not that common. Add a little greenery and color to your cabinets with this idea. The ribbon is a big focal point in this so make sure it is good quality and beautiful. We are loving this soft ribbon! 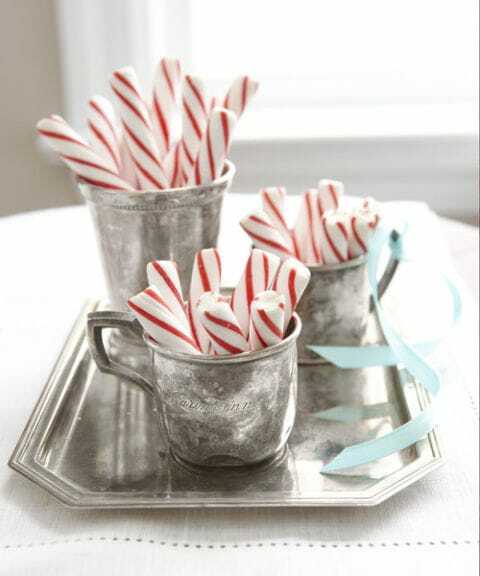 Fill up your everyday dishes with festive snacks like peppermint sticks or candy canes. Use neutral dishes to let the colorful snacks really stand out. These mugs would be a great choices for this! 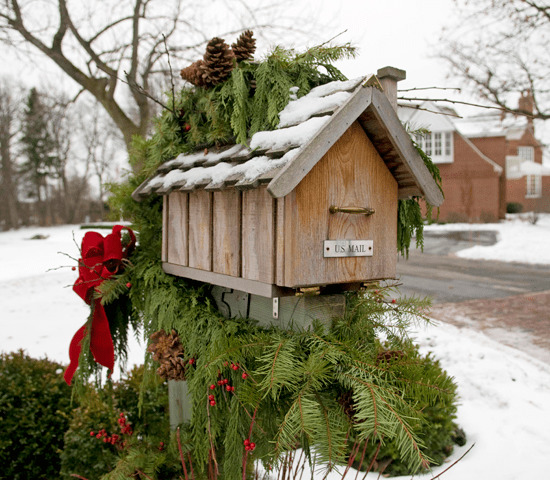 Be the envy of all your neighbors by having a festive mailbox. How fun would this be to walk by everyday to receive your family and friend's Christmas cards? 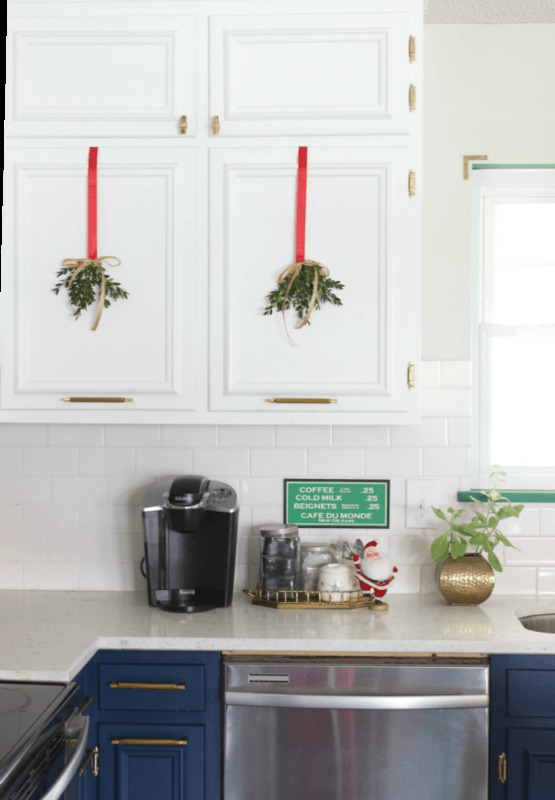 For a quick and easy way to recreate this look, use a decorated garland like this one ! Everything miniature is extremely cute so these mini bells add the right amount of holiday decor in a small space. Drape them like garland or criss-cross them on a window, mirror or wall decor. These mini bells would be perfect to get this look! 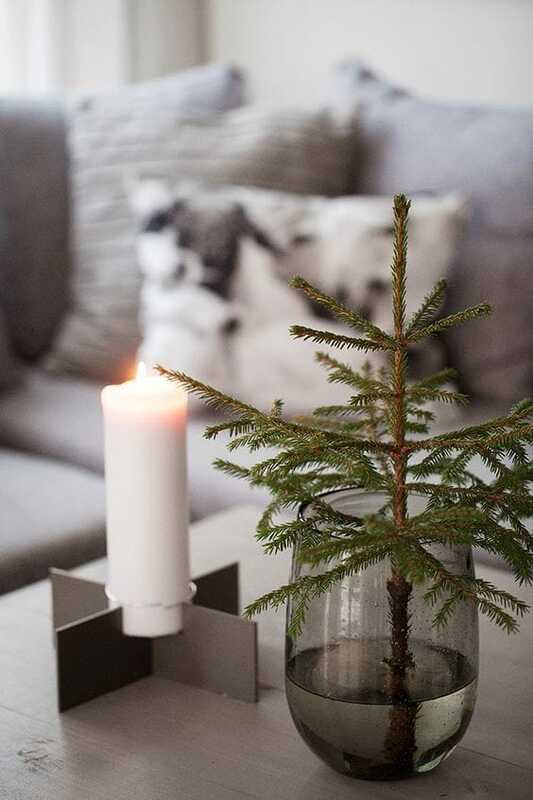 This is a simple and inexpensive way to add holiday decor to just about anywhere. 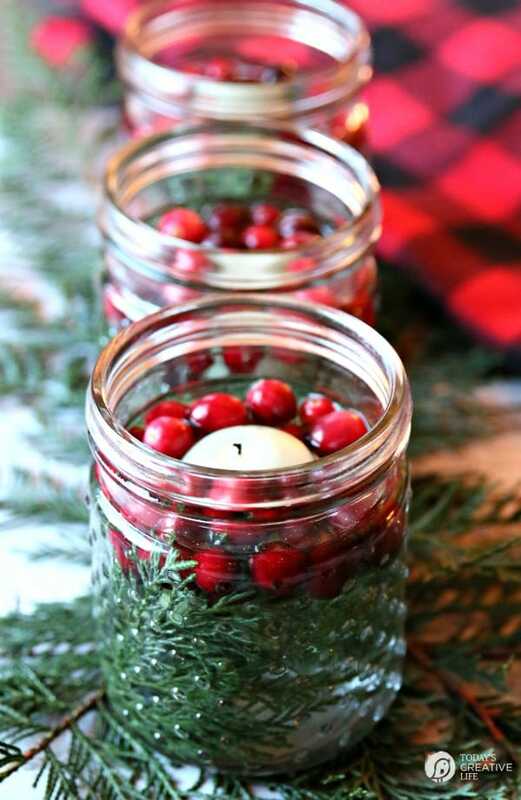 The floating candles mixed with greenery and cranberries scream Christmas and add so much texture. Here is a great place to purchase a bag of floating candles ! When decor is grouped together it is easy to see the beauty of it and these ornaments are no exception. 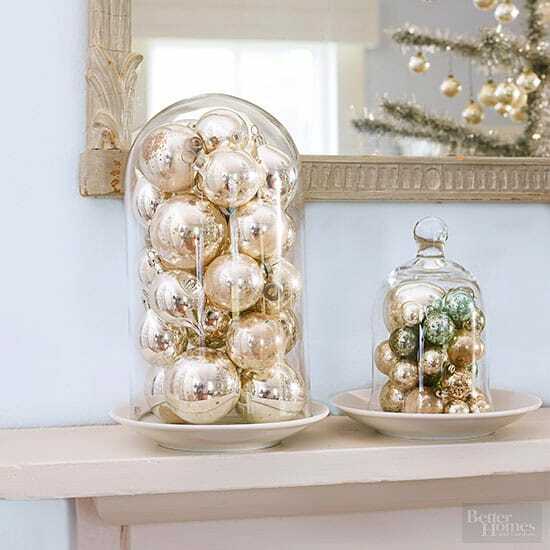 Cloches are an easy way to beautifully display ornaments, pinecones, berry strands and mini Christmas lights. Check out this cloche to achieve this look! We all have large serving bowls or baskets so fill them up with seasonal organic items like pinecones and berries. This would look great inside or outside too. Check out this bowl that would look great for this!